To explore and develop real-life application of project management and business analysis, the PMI La Crosse Rochester Chapter will host a panel discussion for individuals to present their views on topics of common interest. These panelists represent different companies and levels of management. Various topics will be introduced by the panel moderator and presented to panelists for his or her views. Additional questions are welcome by the audience during the discussion. Agile, like any movement, has its own lexicon – a set of words that are used within the community and help define it. Unfortunately, as the Agile movement has grown, these words have been distorted, changed and lost their original meaning. During this session, these words and their original meaning will be examined from a business perspective. Participants leave with the ability to accurately define and use these terms in way that engages the business in its search for value. With the growing interest in Agile approaches, how can we take a measured approach? Organizations can’t just simply drop everything to become 100% Agile. Not only are hybrid approaches acceptable, they are common in transitioning organizations. We need to understand the strengths and weaknesses of both the traditional and Agile methods to find the best combination that gives us the best of both worlds. This presentation will cover how to combine both approaches into a hybrid model, and help you understand the general criteria of how one approach would be chosen over another. Susan is a Project Management Professional, engineer, and consultant with over 18 years of experience managing software and hardware development projects and systems implementations, specializing in Agile project management and project recovery/ risk management. She is experienced in inter-organizational communication and collaboration to meet performance objectives with a true passion for using here knowledge and experience as a conduit to improve project management performance. Once registered and paid, you will receive a confirmation email with instructions the morning of February 6th. It seems like leading projects is harder than ever, especially when the team is scattered across the country or even the globe. But history is full of people who got the job done from far away. Genghis Khan ruled half the world and never held a WebEx meeting? How did he do it? Best practices and tips for using technology to build great team relationships. Once registered and paid, you will receive a confirmation email with instructions. Assortment of appetizers will be provided throughout the networking happy hour. The attendees will be responsible for their beverages. Join us for games and networking! Thank you for being a part of the La Crosse/Rochester PMI Chapter. As thanks to you, PMI La Crosse-Rochester Chapter will provide an assortment of appetizers and a FUN networking happy hour! Look forward to you joining us! Mike is Co-Founder & Principal Consultant at agilityIRL. In this role, he is responsible for educating, coaching and consulting with his clients in Agile methods and working with all levels of an organization to help them produce products that people want to use. 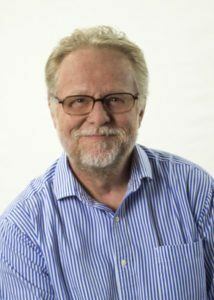 He has presented on Agile at numerous industry events including PMI-Minnesota’s Professional Development Days, the Minneapolis-St. Paul Chapter of IIBA, and Agile Development West. Prior to founding agilityIRL, Mike co-founded two other Agile consultancies. Mike has also worked for Savigent Software as an Engagement Manager, Medtronic in a number of IT Leadership roles, Data Recognition Corporation as a Business Analyst and for Computer Sciences Corporation (CSC) as a Staff Consultant. He has undergraduate degrees in International Management and Japanese from Gustavus Adolphus College and an MBA from the University of Minnesota’s Carlson School of Management. Mike lives in Andover, MN with his wife, Erin, and his sons, Joe, Ray and Will. When not spending time with his family, Mike enjoys watching sports and reading. You know how sometimes you’re having a conversation with a stakeholder or team member, and all of a sudden you realize that they’re completely disconnected from you? Do you ever wonder why that happens and how to fix it? During a conversation, there’s a neurochemical cocktail that’s influencing (and being influenced by) you and the person you are talking to. These influences are unconscious, however, we can learn to recognize the signs of neurochemical impacts and use that information to achieve wildly successful conversations. Jacy Imilkowski PMP, CPCC, ACC is an energetic speaker, born storyteller, and self-admitted communication nerd. She deftly weaves story, humor, and expertise to share tools and skills that engage participants’ hearts and minds. Her interactive presentations focus on real-world application, and participants leave every session with tools they can immediately apply in their everyday lives. When not working Jacy is an avid speculative fiction and fantasy reader, food and flower gardener and enjoys spending time in nature with her partner and dogs.